MAJESTYS is an offshoot of the CNN MCO Company, a pioneer in ship maintenance for the French Navy. CNN MCO has taken its rightful place among the leading companies offering ship technical support for third-parties in France. 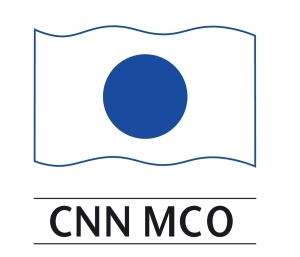 With a decade of experience, CNN MCO occupies a unique position in their field. CNN MCO is the only company to have been developed from a civil navigation company (the CNN Group). As a result, CNN MCO has a sound understanding of the maintenance systems required to successfully operate a commercial fleet. Currently, CNN MCO is wholly owned by the SIMCO Group (Industry Services – Operational Condition Maintenance), and is constantly seeking to innovate and streamline their maintenance solutions and ensure maximum availability for their installations. Thanks to their background as ship-owner, CNN MCO is able to offer maintenance solutions which are perfectly adapted to ship use, evolving as the ships move through their life cycles. These services are built around stringent requirements concerning reliability, safety and adherence to regulations – constraints shared by every maritime sector. MAJESTYS was born out of a desire to offer owners and operators of yachts and superyachts the same maintenance standards and solutions as those used by commercial shipping companies. MAJESTYS has taken the skills and expertise from CNN-MCO and applied them to yachts and superyachts. Like CNN MCO, our approach is based on the same technical and financial supervision systems as commercial ship owners. And by constantly seeking better, more innovative solutions, MAJESTYS can choose the best industrial solutions and use them to keep yachts on the water for as much of their life span as possible, ensuring that our clients can make the most of their investments. MAJESTYS offers a unique technical and financial monitoring service to yacht owners, providing an objective, independent perspective about everyone involved in the maintenance process. To ensure that our clients have a clear and unobstructed view of all their management costs.